Within I touch on the topics of Love, hate, Forgiveness, Spirituality and Kindness. They are discussed through my own personal experiences and beliefs I've shared throughout my brief lifetime. Hopefully the Initiative will inspire something in you! I want to believe this is somewhat coherent. As I began writing it, I had way too many topics/thoughts/ideas barraging me at once. This was the third draft and I refuse to do a fourth. I feel this will get a handful of my thoughts out. 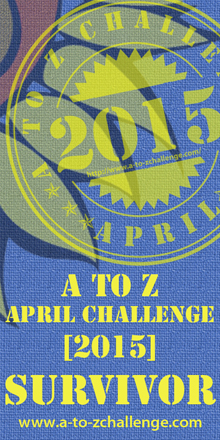 I will revisit these topics once the A to Z Challenge concludes, and I have more time to focus.